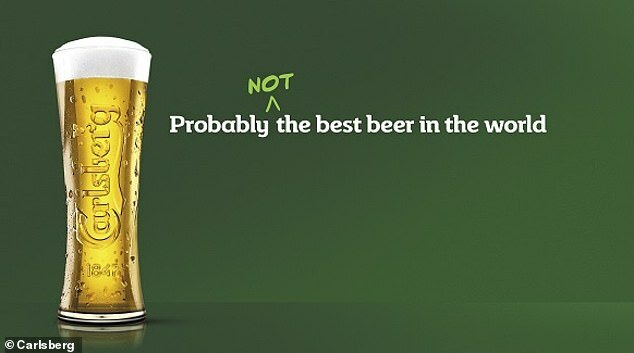 Forty-six years after Carlsberg bragged its lager was ‘probably the best beer in the world’, the brewer has admitted that it isn’t. It is unleashing a revamped version of the beverage, brewed in Northampton since 1973, with a new name and recipe. 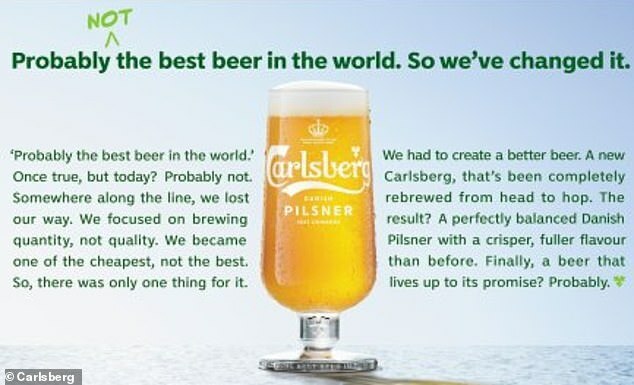 Carlsberg Danish Pilsner will have more of a hop flavour but will still remain at 3.8 per cent strength. 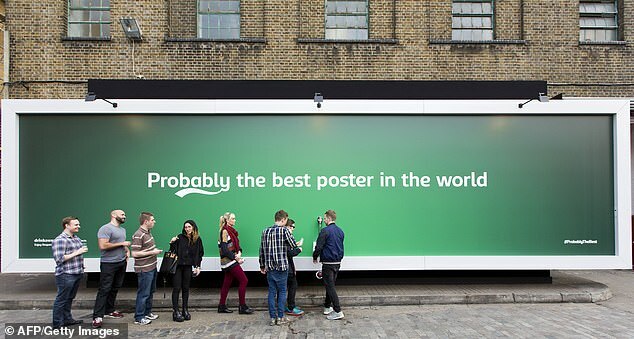 A £20million advertising campaign has poked fun at the original slogan, by placing a crudely scrawled ‘not’ after the word ‘probably’. They included one saying ‘Carlsberg tastes like stale breadsticks’ and another comparing the flavour to ‘cat p***’ and one branding it the ‘rancid p*** of Satan’. 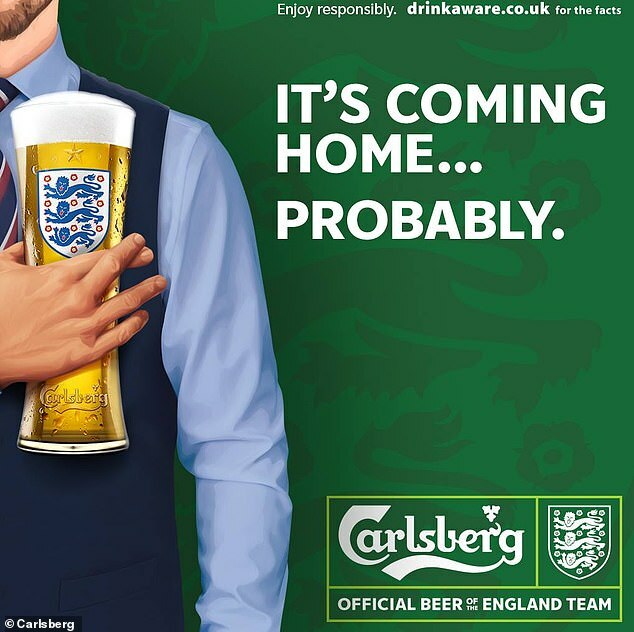 It also teased the promotion on social media as it confirmed the launch of a new drink with an admission reading: ‘Probably the best lager in the world. Once true, but today? Probably not. Somewhere along the line, we lost our way. ‘We focused on brewing quantity, not quality. We became one of the cheapest, not the best. So there was only one thing for it. We had to create a better beer. A new Carlsberg, that’s been completely rebrewed from head to hop. 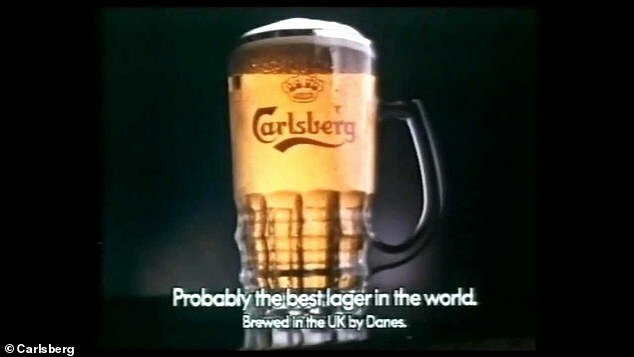 Carlsberg’s ‘probably the best beer in the world’ tag had already been discontinued before the launch, but the iconic slogan inspired spin-offs. It appeared alongside a man holding a pint while dressed in a waistcoat and tie identical to manager Gareth Southgate’s M&S match day attire.